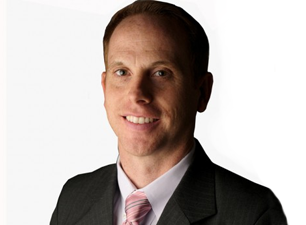 Mark Griffin is Founder/Principal and Broker-In-Charge at SperryCGA-Griffin Partners. Mr. Griffin is a native of the Upstate. Mr. Griffin is a real estate broker in South Carolina and brings over sixteen years of private sector real estate brokerage and consultancy experience to the table. Mr. Griffin began utilizing his skills mastered in college to the benefit of clients from day one, completing his first large land deal at only 22. Griffin additionally spent several years early in his career providing economic development consultation services to small cities and towns throughout the State of Georgia. He later went on to associate with several real estate brokerage, development, and consulting firms working with some of the top names in the southeast region. Mr. Griffin has been involved in many multi-million dollar commercial and residential development projects from site selection to marketing and brokerage. Later in his career Mr. Griffin found a need to service clients interested in the sale of their business and became certified to sell businesses. Mr. Griffin focuses on land, retail and office property sales and leasing as well as the sale of businesses. Griffin is a Certified Commercial Investment Member (CCIM) of which less than 6% of commercial real estate practioners globally obtain. His in depth approach to analyzing commercial assets for both investors and sellers adds value to every transaction. Griffin is actively involved within the community with membership in the following organizations: Past Master Monaghan Lodge #251 (SC Ancient Free Masons) and active Member, past board member of Gateway House, past member of The Commerce Club membership committee, past corporate sponsor of Roper Mountain Holiday Lights, past sponsor for EURO fest benefiting the Ronald McDonald House, and Corporate booster for the Wade Hampton High School varsity football team. Mr. Griffin is actively engaged in CCIM national and the South Carolina chapter and is a member of the International Council of Shopping Centers (ICSC). Mr. Griffin is a member of Edwards Road Baptist Church and is an avid runner, golfer, and snowboarder. Mark lives in Greenville with his wife Jessica with their two sons Aiden and Luke. Griffin is a graduate of Clemson University’s select five-year professional degree in Landscape Architecture program with a focus in real estate development, city and regional planning, and real estate development.